← Rediscovered: Ford — The Flivver King! Every year or two I make the plunge into looking at refs to me on Google, though I have never managed to get to the end, if there is an end. Kind of fun to see various previously unknown citations in this book and that (lots of quotes in academic books courtesy my writings on Hammett or literary San Francisco or Robert E. Howard and other subjects). I think it was sometime last year that I came across a namecheck in Susan Campo’s Warren Oates: A Wild Life and realized I didn’t even know it was out — and it came out in 2010. Might need to check Google more often. . . .
My namecheck appears on p294 in a discussion of the shooting of Cockfighter. While the email archive is gone, sunken into the cosmic aether off Altair on a starship named Another Dead Computer, I remember trying to help Susan track down a piece Charles Willeford had written about riding around with Oates — the movie is based on his novel, he did the screenplay and even acted in one of the roles. Willeford did something like a memoir of Oates, but then segued into one of his try-outs for the never-written novel The First Five in Line. While it may turn up someday, at the moment Susan needed it for her book that little memoir was missing-in-action somewhere. If it never turns up, I may be among less than a handful who ever got to read it, when I was writing my book Willeford (speaking of biographies). I wanted to read her book above and beyond the Willeford connection — who doesn’t like Warren Oates? Plowed right through, think it really captured the life. Especially good on his childhood in Kentucky, since she had several interview sources from that era. Thorough coverage of the acting jobs, from plays to TV to movies — I had forgotten that Oates was a regular in Stoney Burke, but the last time I saw an episode I may have been eleven years old and didn’t have a clew who the actors were. The rise from bit parts to The Wild Bunch (“Why not?”) and Alfredo Garcia (“Let’s go, Al.”). Dillinger. Eventually aging out and ending up in lesser vehicles. Death. Lots of good info. 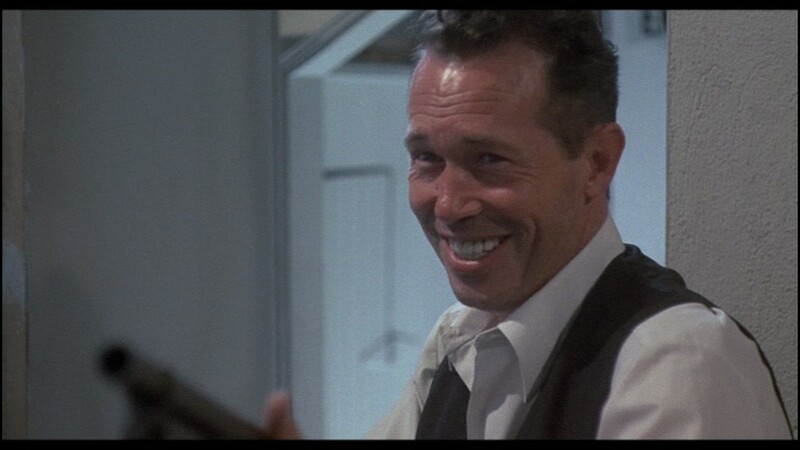 A line about how there wasn’t a day in his adult life that Warren Oates didn’t drink. This entry was posted in Film, Lit, Willeford and tagged Mechanics' Library, Susan Campos, Warren Oates. Bookmark the permalink.